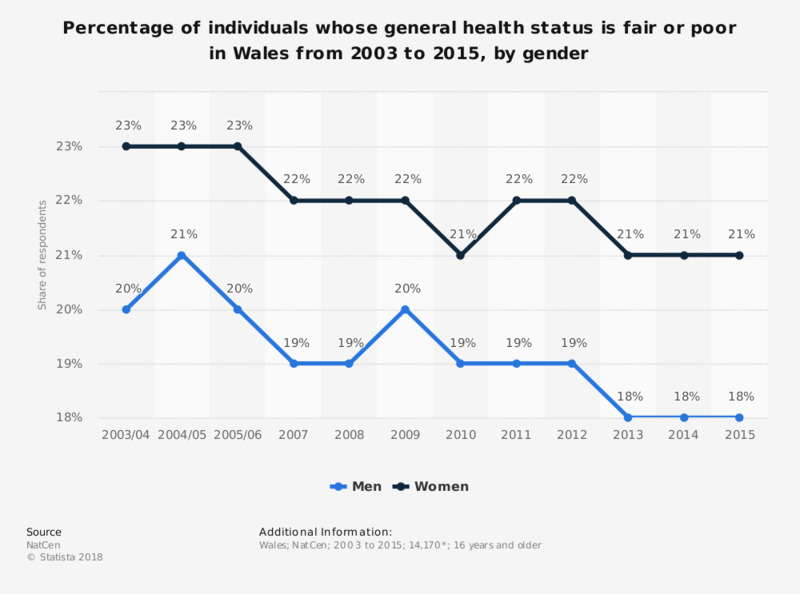 This statistic displays the proportion of adults who are limited by health problems or disability and have scored either fair or poor according to the general health status, by gender in Wales from 2003/2004 to 2015. In 2009, 20 percent of men and 22 percent of women had fair or poor general health. - Day-to-day activities limited because of health problems or disability lasting (or expected to last) at least 12 months. How would you characterize your current health condition?